Terrible on many levels, aggravated irritation on my scalp, dried it out and led to hair loss. The worst combination of ingredients ever. I love using this! Ever since I started using this, I feel my hair has grown longer and more healthy (which is why I started using it). The packaging makes it easy to apply, and it feels refreshing and energizing for quite a long time! Definitely re-purchasing when I run out of it. Scalp feels revived, refreshed and lovely and cool after application. it helps to get rid of oily root, and give some bounce. 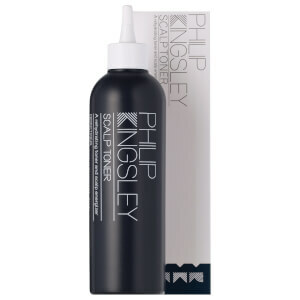 I am currently using this product for 2 weeks now with Phillip Kinsley "body building" shampoo and conditionner. The product is quite liquid but easy to apply and a nice mint sensation is felt after the application. I can't tell if it really boost my scalp for the moment by the use is easy and the product is nice. the hair are soft and get more volume. 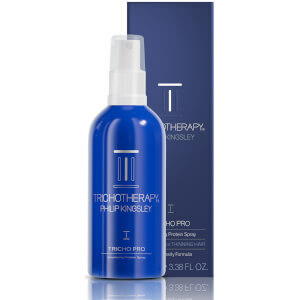 This has really helped my scalp as it had become very itchy and dry due to medication. I can see it lasting quite a while as it doesn't take much at a time. An excellent product. 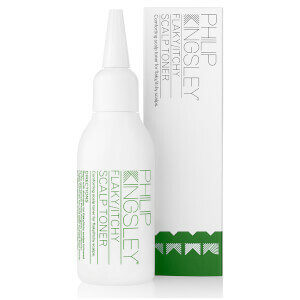 I can't imagine not using this Philip Kingsley Scalp Toning Tonic, it makes my scalp feel fresh. Also great for my daughter, helping with controlling her problematic teenage oily hair.